Birthday Brownie pizza or Birthday brownie pie whatever you choose to call it call it divine. This makes the perfect Birthday cake brownie. Can personalize with recipients name, just leave it in notes. 9 inch round moist Oreo fudge brownie makes 8/10 generous pieces when cut. The taste sensation can be topped with a variety of flavors and all high on the cravablity scale. See variation to choose other flavors. 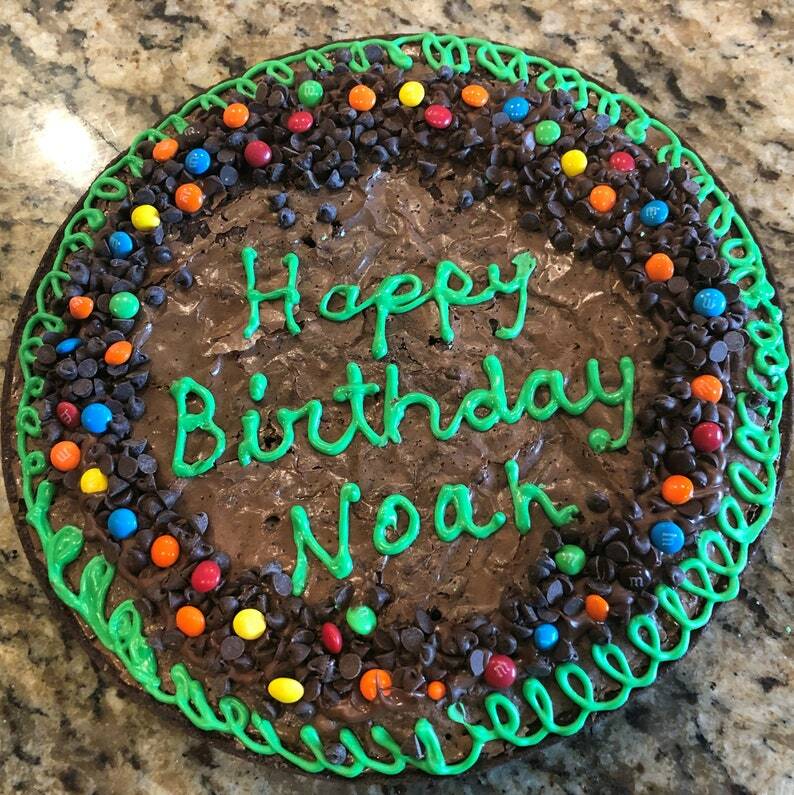 Perfect for a birthday, student away at college, office birthday, a pick me up, a corporate thank you, or just because you know they will enjoy every bite. We offer free shipping on this delight and it will ship out USPS priority mail. It will take 3-5 days to have it on our bake schedule then 2/3 days once it ships. We would be glad to include a message for the recipient, simply mark as gift and leave message in notes or at check out. Thank you for shopping Nana's, we love serving you. Brownie pizza , Finals brownie pizza, Gourmet brownie pie. I received word that everything in the Care package was delicious. Thank you.